Much has been written lately about focus as a means to achieve academic and personal success. Dr. Daniel Goleman’s book Focus: The Hidden Driver of Excellence, begins to unravel the sheer power that focus has in relation to learning and student behaviors (Dr. Goleman is a distinguished psychologist, and architect of the concept of emotional intelligence, and an Academy grandparent!). The idea of focus is one which we are only beginning to understand fully. I’d like to consider the many ways focus may manifest. 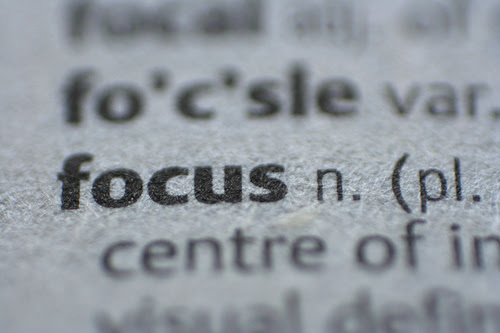 We all easily think of focus as a solid, unwavering concentration on an idea or activity. For example, a student sits down to do her math homework and does not get up for 30 minutes; a parent sits down to do his taxes and does not stop until the 1040 is complete. These are recognizable as examples of focus. There are other examples, however, that we might consider. For instance, a student has 10 math problems to complete. He works for 10 minutes and feels himself waning. He decides to take a 5-minute break and walks around his room. Then, he sits back down and completes the assignment. Some would view this last example as poor focus: the student stopped, relaxed, and has to begin anew. I view it is an excellent demonstration of focus. The student is so aware of his feelings and focus that he senses a shift in his physiological state. Rather than push forward, he creates a plan. Pushing through would not have demonstrated focus, but discipline. Discipline is good and important, but not the same as focus, and part of being a good student is knowing yourself as a learner.